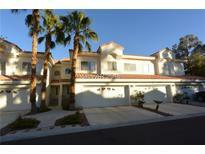 Below you can view all the condos for sale in the Villas On The Green subdivision located in Las Vegas Nevada. 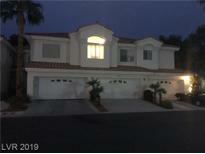 Listings in Villas On The Green are updated daily from data we receive from the Las Vegas multiple listing service. To learn more about any of these condos or to receive custom notifications when a new property is listed for sale in Villas On The Green, give us a call at 702-930-8014. BALCONY WITH OPEN VIEW OF NEIGHBORHOOD. Brand new carpets and Paint. MLS#2055290. Cartwright. Custom Two-tone Paint, Up/Down Cellular Shades, Man-made Wood Floors Thru-out, Quartz Counters & Back Splash In Kitchen, Fingerprint Resistant Graphite Stainless Steel Appliances, Painted Kitchen Cabinets, Stainless Steel Sink & Stainless Pull-out Faucet, New Walk-in Shower, Toilet & Vanity In 2nd Bath, Designer Baseboards, 2 Sets Of Double French Doors To Covered Patios & Much More! MLS#2053065. Realty Executives Experts.